Notice: 2nd reading of the bill was postponed until the house sits again on March 19th. Tory filibustering has resulted in the delay. I went to observe at Queen's Park on the 19th. My report is @ Here! Keep checking for updates + more info links below. LATEST NEWS: BILL 122 IS PASSED INTO LAW! 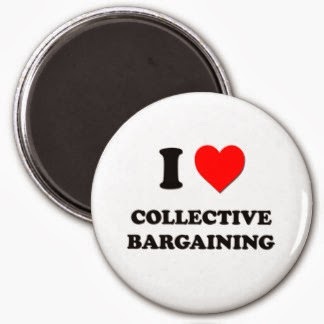 Bill 122 [the School Boards Collective Agreement Bargaining Act] was scheduled for 2 days of Committee hears on Feb 26 + 27th. The next step will be for the Bill to go through a clause by clause reading at Queens Park on March 19th. We have no idea how long it will take to pass third reading, especially with the speculation that Ontario could shortly be headed for a spring provincial election, in which case the Bill would die on the floor without a vote. In a nutshell, and I don't use the term lightly, Bill 122 will establish the new framework and procedures for our provincial teacher contract talks, which caused so many problems last year because they were so confusing and undefined. Once it is in place, the next contract talks can begin. One is reminded that our current contracts expire August 31 of this year. We are all ready on a tight time line indeed! Originally, most of the links below were included late in February on my News + Views Link blog. They are being reposted here on a new dedicated blog for easier accessibility and future reference. I will add relevant news + document links here as they become available over the next while. Bill 122 works for the provincial office and the government. In the last two rounds when we had provincial support, our contracts changed for the worse. In 2008 we got the 3,3,3,&3% raise, yes, redundant committees, and TBA benefits. In 1012, the OECTA MOU, and all its cuts. While we celebrate the 70th anniversary of OECTA, one has to ask what was wrong with local bargaining for the first 60 years. Seems to me we did well, there were very few labour disruptions, and gains were expected and achieved each time. Suddenly, that tried and true practice has been shelved in favour of a two tiered process that has very questionable outcomes. While it no longer surprises me that the federations are mostly ok with Bill 122, I find it really disheartening that the OECTA I once knew would have had no part of it. Two tiered? Discriminatory; Cuts and take aways? Status quo plus; Government intervention? Not part of the process. And here we are with all the federations giving tacit approval with a couple of recommendations. On another thread, someone posted that we are experiencing a lot of what Right to Work for Less would be like, absent the opting out provision. It is my hope the new PE will recognize the corner it's painted itself into and that it will prove to the members it really has our backs. Otherwise, I can see a Tim Hudak government next time around just because people are so ticked. . .
For me, Bill 122 is wrong just as Bill 115 was wrong. Our unions need to get to the local bargaining table, start with the August 2012 agreement, and go forward from there. Hopefully the last two years will be a distant memory. . . I could not agree with you more! This will set teacher bargaining back to the sixties and eliminate any local Control of the process.Could the lack of interest and involvement on behalf of the membership (all) be due to the fact that all of the unions have full time local staff that are more concerned with preserving their local positions than encouraging members to get involved. I say this based on the number of local presidents, officers, etc who make these career positions? Could it be that the unions have become an expensive entrenched bureaucracy rather than an engaged membership? They have become almost totally cut off from their grassroots, at the local level, and quite frankly I don't think they care! Provincial Executives + secretariats are off in a whole of their own. Some of the local executives are good and struggle hard for their members but we see what happens if they don't play the provincial game. This only encourages toadyism and creates province wide elites in the different affiliates. It is not about the local membership anymore. It is quite amazing that this teacher free speech site now has had over 350,000 reader visits. Obviously we still want to read, think and discuss the issues, but any resistance to the status quo often seems futile. I sometimes think it is only the older more experienced teachers who know this is not how things always were, nor what we fought for and wanted to build. If your Comments are slow to post fret not! They are coming!